Come along with Robyn Reid and friends to various locations. These events are held on second Thursday each month and if lost Contact Number is: 0409 449 973. For local sites in Shire & Georges River areas, meet 9am at site or endeavour to be at distant sites by 9am via public transport or car. 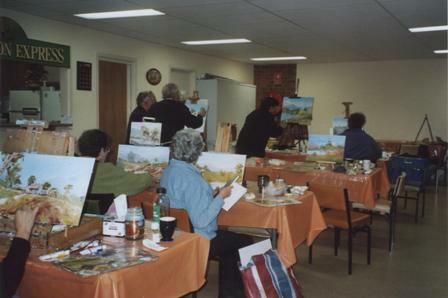 Members can bring along a painting they are working on and receive guidance from an experienced artist to sort out any problems and improve their technique in a friendly atmosphere. If you are not a member you can join up on the night and join in. 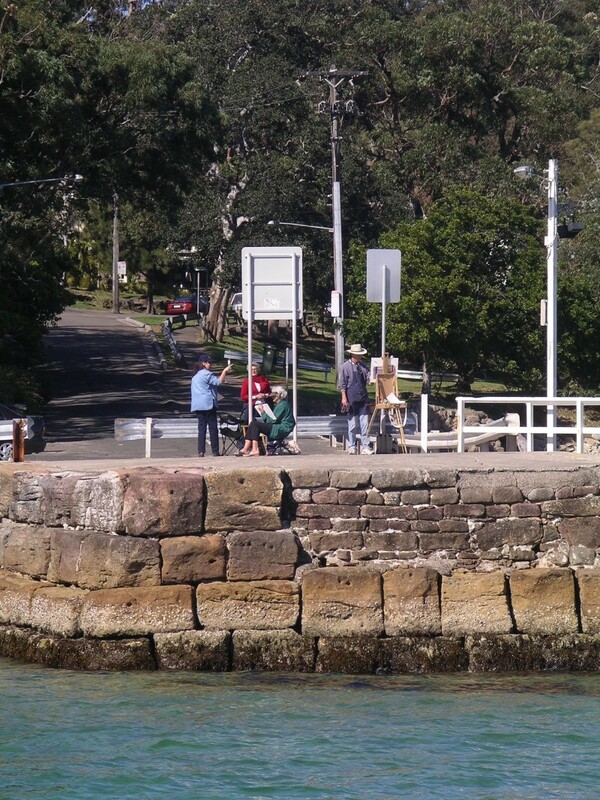 Occasional Outdoor Painting Expeditions - at various locations. We meet at various times and places when arranged. BYO lunch to enjoy with the whole group. 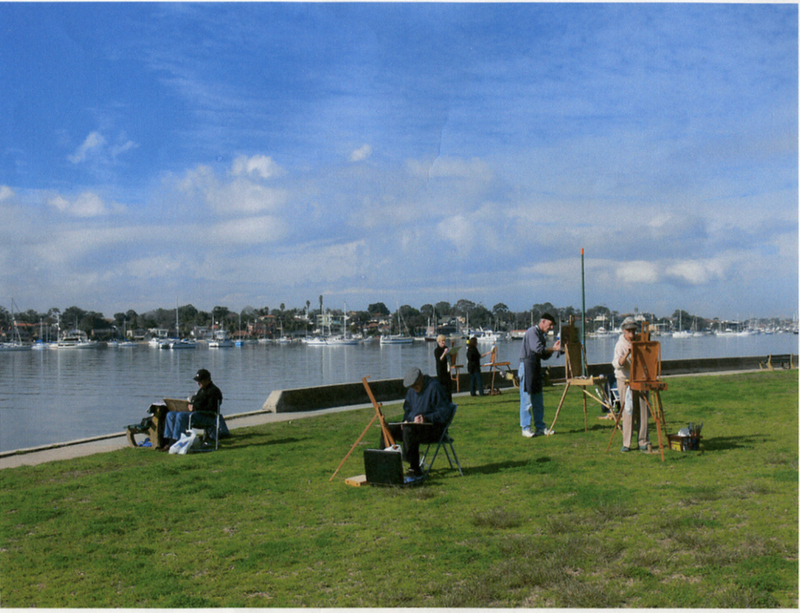 Here our artists are enjoying the sunshine and serenity while painting at Carss Park. 2nd Tuesdays 8pm - Critique Night gives a chance to have helpful and valuable appraisal of your completed works by one of our leading artists or by a visiting professional artist. This provides a great opportunity to learn what makes a painting "tick" and how to correct or improve a painting. Bring along two or three works. Even if you don't bring a painting for appraisal you can still learn from the comments made on others' works. Learn the techniques used by professional artists to create unique works of art. Each session will be for a duration of 1.5 hours. Enjoy supper afterwards. COST: $10 for members and $12 for guests per session. Demonstration by a well-known artist, sculptor, photographer or other artist who excels in the visual arts. This is always a very popular eveing. 5th Tuesdays - No meeting is scheduled, but there are occasional activities. Several times a year we hold full-day Workshops on a Sunday. The usual time frame is 9am to about 4pm. 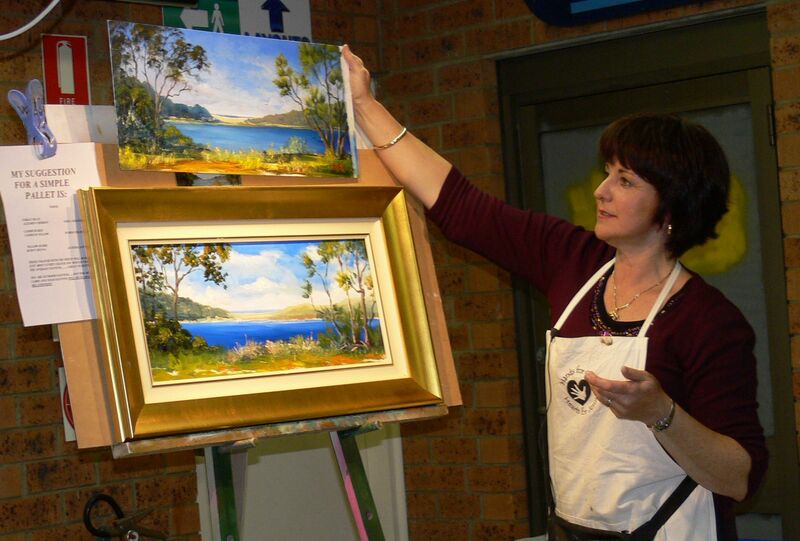 These special events are led by well-known artists in various mediums and are a time which combines great fun with learning to extend our abilities. Morning and afternoon teas are supplied. BYO Lunch. a Workshop with Norma C. Jones. We currently organise one main Art Show each year. For more information about our Show please see our Exhibitions page. anything else that can be arranged . 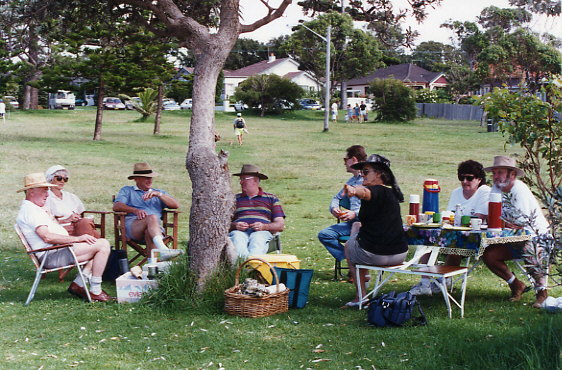 See our "Come and Join Us" page or ring President Peter Clarke on 9522 6361. 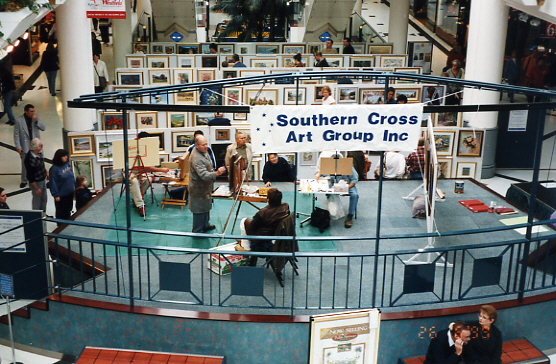 Southern Cross artists meet on four Tuesday evenings of the month. Members are invited to come to all or any of our activities. Once a year we hold a special SWAP NIGHT. 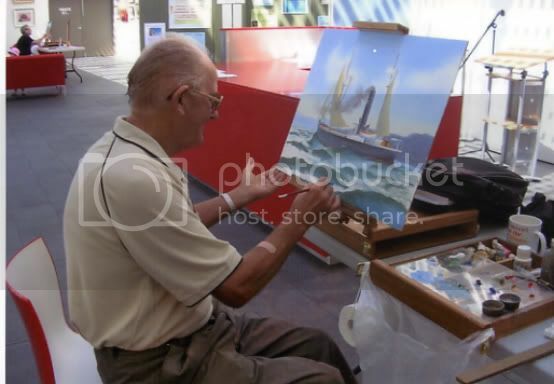 Artists are asked to paint and bring along (unframed) a painting that is 12-inches x 9-inches. These paintings are displayed and the artist is given an opportunity to talk about the artwork - what is represents, why it was painted, where it was painted, etc. At the end of the night the paintings are swapped around so that each artist takes home a painting by another artist. Over a period of time it is possible to build up a collection of artworks by contemporary artists. These can be a way to learn how other artists tackle a problem, and may even mean coming to own a "priceless" artwork by an artist who has become famous. 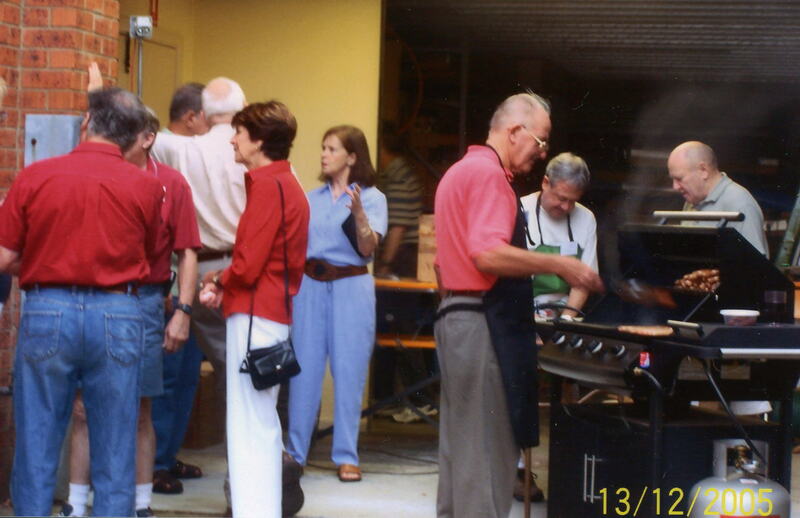 In any event this is always a well-attended, popular and enjoyable evening.